The ever-changing logistics industry serves as the backbone of every industry like healthcare, hospitality, eCommerce, retail, etc. In the past few years, this industry has faced some major challenges such as failure to deliver goods on time due to redundant processes, complex processes across the supply chain, lack of performance measurement, low productivity, poor customer service, and reduced efficiency due to manual processes. However, with the integration of enterprise mobility solutions, the entire landscape of the logistics industry has changed and a positive impact has been observed in the workflow and processes – be it warehousing, transportation, freight documentation, and distribution. This article highlights some mobility solutions that are helping the logistics industry in bringing a significant transformation in real-time routing, order deliveries, dispatch management, and customer services. With mobile fleet management solutions, you can keep track of individual driver’s log times and behavior, route planning and deviations, and delivery schedules of each vehicle. Moreover, based on the current job status of the employees, you can update their tasks and track them in real-time. The real-time visibility improves efficiency, productivity, and business performance. 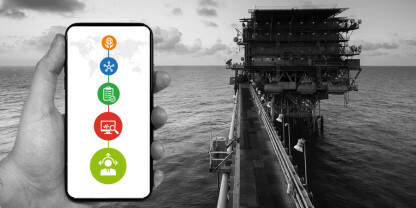 Mobile asset tracking solutions use advanced identification and geo-positioning technology that provides you a comprehensive visibility of the entire operations and enables you to optimally utilize your resources, schedule deliveries as per requirements, and accurately monitor your shipments. You can keep a track of inventory moving in and out at any point in time. Doorstep pickup and delivery is really a challenging task and mobility solutions can play an impactful role in improving customer services. Your employees can scan the item, input delivery details, create a label and invoice – all at customer’s doorstep, with the help of a custom mobile app. This way; the speed of product delivery can be increased and shipment can be directly transferred to the export facility, thus reducing the use of warehouse space. Mobility solutions help you identify and prevent inaccuracies in shipment and loading. These solutions also provide you a greater visibility of the warehouse so that you can use the entire space optimally and prepare for different real-time situations like changes in orders, emergency shipments, decrease and increase in inventory. Customers can order any product, track the shipments, and submit their feedback on the go – all from their mobile, with customer servicing apps. Mobility solutions help logistics company deliver shipments in a timely manner. Moreover, you can reduce the hassles of processing return goods by ensuring that the customer is available to receive the delivery. 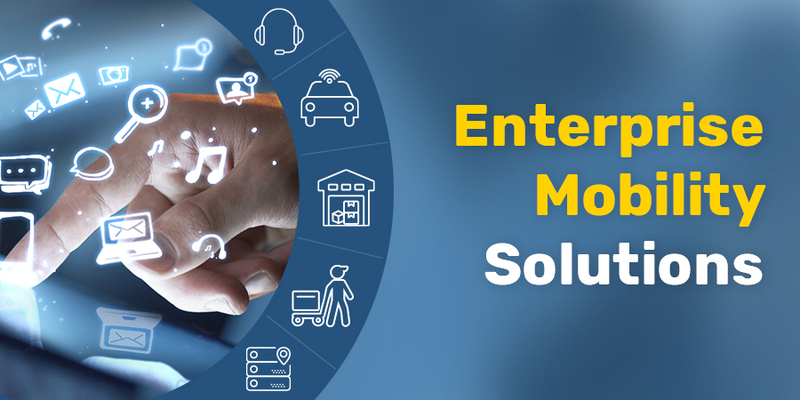 Integrating mobility solutions in your growth strategy is the need of the hour. If you are still using the manual processes, you are at a great risk of losing business to your competitors. So, be proactive and partner with a mobile app development agency to overcome your logistics challenges.